This years showing at the Seattle Wine Awards was awesome. Our Cabernet brought in another double gold for our 2009 vintage. We knew 2008 was going to be a hard year to match but we tried our best and it paid off. The back to back Double Gold Kitzke Cabernet is really starting to make a name for itself. Next up was our 2010 Cabernet Franc, and it is a true stunner. This vintage was a little colder than 2009 and really brought out some amazing characteristics earning a Double Gold for itself. Rounding things up is our 2009 Monte Caramelle Blend. This Tuscan style blend was awarded a Gold for its complex layering of Sangiovese 40%, Cabernet Sauvignon 40%, and Syrah 20%. Tri-Cities Wine Festival brings in sommeliers from all over the nation to judge the entries. It is judged in a blind format so an unbiased opinion is guaranteed. Kitzke Cellars took home Best of Varietal and Double Golds for our 2013 Viognier and 2010 Cabernet Franc. Other awards include; 2010 Cabernet Gold, 2012 Nebbiolo Silver, 2013 Rosé Nebbiolo Silver, 2010 Monte Caramelle Silver, 2011 Sangiovese Silver. On Christmas Eve we received a early Christmas present. We received the news that our 2009 Monte Caramelle had received a Double Platinum award from Wine Press Northwest. Since 2000 Wine Press Northwest has been taking Double Gold and Gold metal wines from 35 or more wine competitions and then judging the best of the best. If you are interested in learning more about the way this contest is judged check out Wine Press NorthWest article HERE. MOST IMPORTANTLY WE WANT TO THANK YOU OUR CUSTOMERS AND FRIENDS FOR HELPING US THROUGH ANOTHER SUCCESSFUL YEAR. WHETHER YOU PART WAS HELPING WITH EVENTS & THE TASTING ROOM, OR JUST SHARING A GLASS WITH US.  YOU ARE OUR INSPIRATION AND PEOPLE ARE WHAT WE CARE ABOUT AT KITZKE CELLARS. This entry was posted in Awards, Events, Uncategorized and tagged 2014 Wine Awards, Family Winery, Kitzke Cellars, Kitzke vineyards, New Years, washington wine, wawine. Bookmark the permalink.